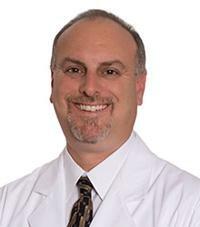 Eric Price, MD, is a board certified, fellowship trained Orthopedic Surgeon who specializes in sports medicine and joint replacement at Houston Methodist The Woodlands Hospital. His specialties include shoulder surgeries such as joint replacement and rotator cuff repairs; total knee and hip replacement; arthroscopy of ankles, elbows, knees and shoulders; and sports medicine in addition to general orthopedics and pediatric orthopedics. Dr. Price is Board Certified by the American Board of Orthopedic Surgery. He received his bachelor's degree from The University of Texas at Austin and his medical degree from The University of Texas Medical Branch at Galveston. He completed his residency at the University of Alabama at Birmingham and is fellowship trained by The Foundation for Orthopaedic, Athletic and Reconstructive Research Sports Medicine in Houston. Dr. Price provides patients in The Woodlands in Conroe and surrounding areas with high quality, cost effective specialized orthopedic care in a wide range of surgical and non-surgical needs.